Have you ever loved a resume so much you could eat it up? Well that's the reaction Renata Chunderbalsingh was going for when she created her own resume. Literally. Lewis’ post quickly went viral, getting close to 17,000 likes on LinkedIn and created a conversation among recruiting circles that surely brought Renata a few job leads. Aside from basic information, such as name, education level and ways to contact her, the candy bar wrapper creatively showcases Renata's skills, like “qualitative research” and “project coordination” as well as projects she has worked on. 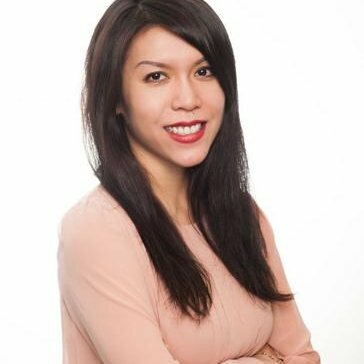 Renata, who’s from Sydney, Australia and trying to land a job in market research, told Mashable that with little experience in her aspired profession, she upped her job application game in order to gain equal footing with others in the industry. Her strategy proved successful; Gemma lauded Renata for having “passion, creativity and gumption in spades and sound arguments for why she wants to work in consumer insights,” despite not having a lot of experience in the industry. Gemma then went on to invite recruiters to reach out if they had a position for Renata. This isn’t the first time recruiters have received chocolate resumes. 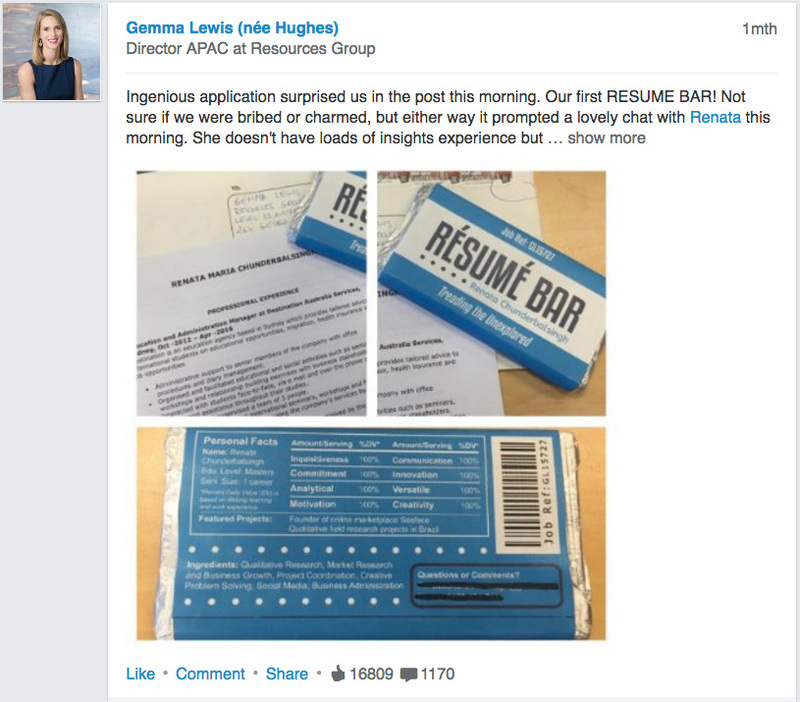 In 2013, a Redditor posted a picture of his friend’s candy resume with a caption saying “he got the job.” But edible resumes aren’t the only surefire ways to garner attention. Just take a look at Philippe Dubost’s website for his resume that looks exactly like Amazon’s product page. Or Elski Felson’s application to Snapchat with a hilarious Snapchat My Story video. Or Robby Leonardi’s video game resume where you learn about his professional background by actually playing the game. Or Ben Wong’s SlideShare resume, which according to the old, one-page resume adage, was 15 pages too long. The bottom line: when it comes to landing your dream job, there are no rules.